From work to weekend, these high heel sandals will take you anywhere you need to go! Available in two neutral colorways, these are lightweight with flexible rubber outsoles and are designed with comfort features galore. Weighing next to nothing, these wedges from Ara are crafted with the perfect amount of cushioning, flexibility, and style. Metallic elastic compliments a nubuck upper with laser cutouts and crystal accents for a unique, comfortable wedge sandal. Glitz and glamour! A fabulous summer sandal, these are ever so alluring. 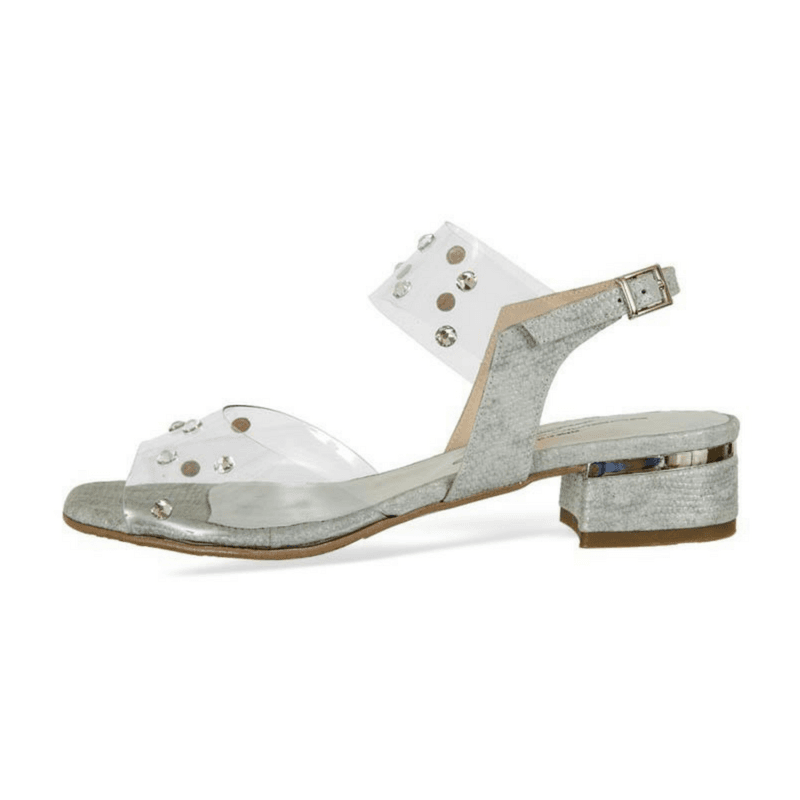 Crafted in Spain with a cushioned footbed and adjustable slingback, these feature a low block heel with mirrored accent that is right on trend for the season. Silver Swarovski crystals adorn the upper and add the perfect amount of sparkle to any outfit. Add some red carpet sparkle to your wardrobe! Crafted in Spain with a cushioned footbed, these feature a beaded chrystanthemum-inspired embellishment and transparent upper with sculpted heel. Available in black or gold. Paired with your favorite holiday trousers this year and a bright sweater, you'll look festive and feel comfortable. Crafted with a cushioned footbed and leather lined suede upper, these are available in black, navy, and taupe. Great shoes take you great places and these are no exception! Tried and true, these have traveled all over the world. These flattering sandals feature heavenly cushion, sassy straps, and complete adjustability. Available in four tantalizing colors! A true classic! This low heeled sandal features elastic straps that allow for an easy on/off experience. 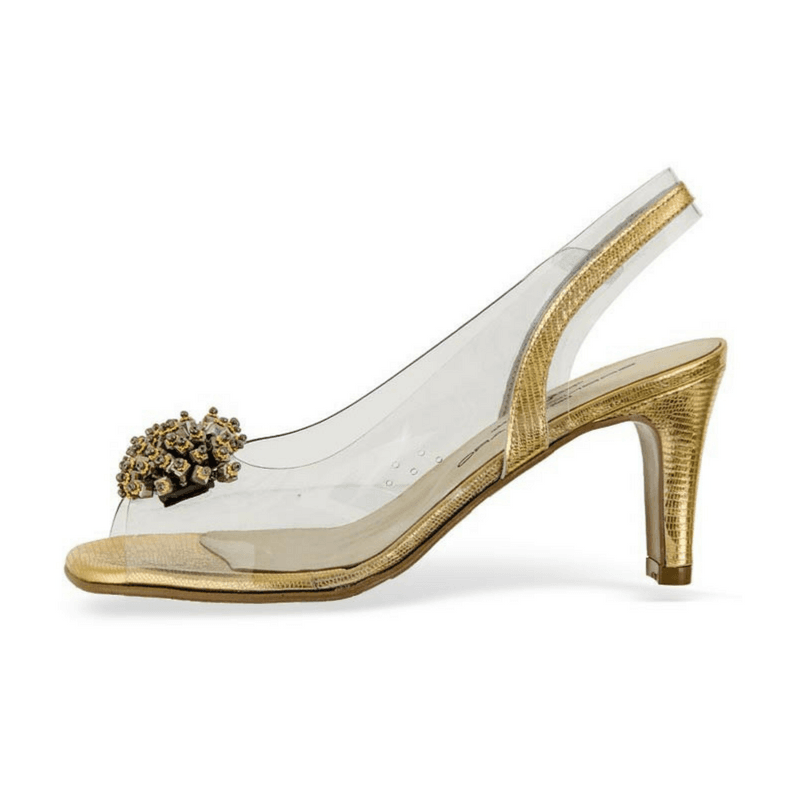 Keeping in line with modern trends, these are crafted on a mirrored block heel and are fantastic for weddings, teas, brunches, or any other special events. Reach for the stars in these elegant slides. Crafted on a block heel with an amazingly cushioned footbed, these feature a suede embossed upper with stars. Enjoy out of this world comfort the second you slip into these! Take comfort to new heights in these strappy sandals! Crafted in Spain, these feature an espadrille wrapped wedge, cushioned and leather lined footbed, and adjustable slingback.